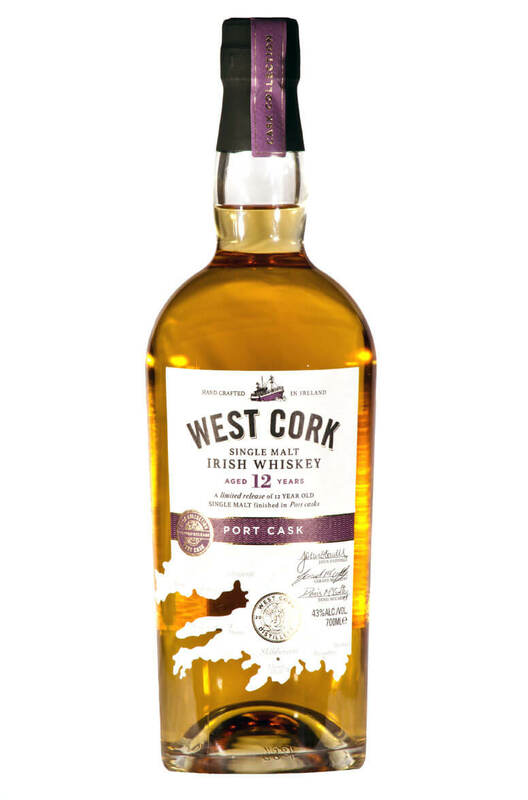 A 12 year old single malt released by West Cork Distillers and finished in a port wine cask. This is light and delicate in style with sublte fruit flavours and chocolate notes coming from the port cask finishing. Nose Fresh and fruity with touches of tropical fruits, red berries, vanilla, fruit cake and glace cherries. Palate Palate Soft, and full of sweet, tropical fruit flavours. Light and delicate with touches strawberry shortcake, vanilla and creme caramel. Types of Barrel used for Aging Finished in port wine barrels.